I worked on the pod-cast most of the weekend. I am currently trying to get it posted. I will post some pictures and some links when I get a chance. Mostly I ramble about the charity quilting, some new Summer quilt magazines ( in plastic ) and just life in general. 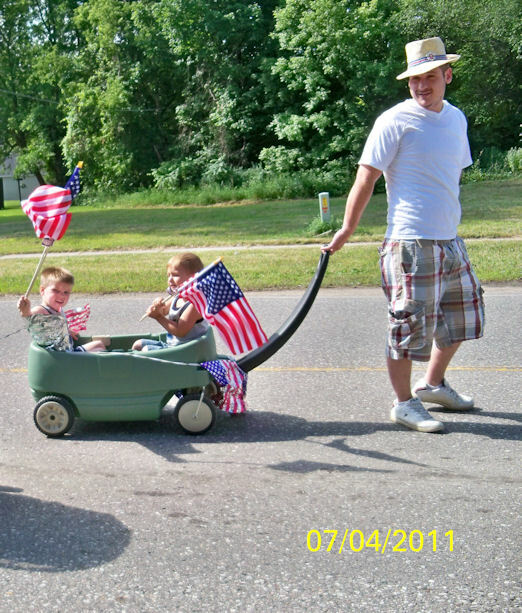 Pride goes before the fall ….. 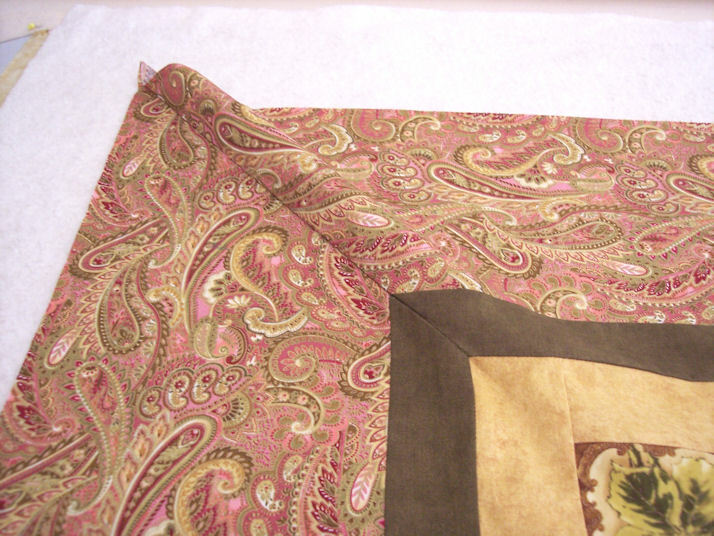 In a previous blog I bragged about I had four beautiful miters on my quilt. Well I must have been delusional or lying. 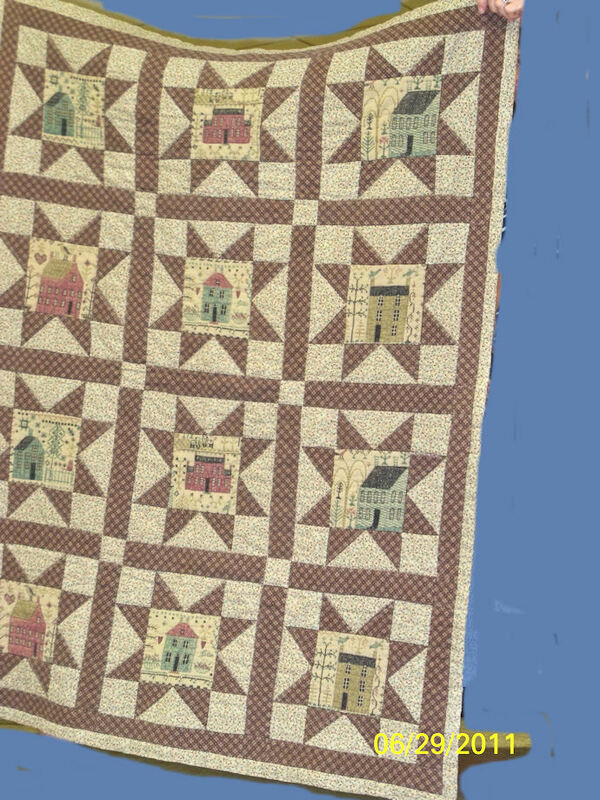 When the long-armer got the quilt two of the corners were good, laying flat at the correct 45 degree angle. 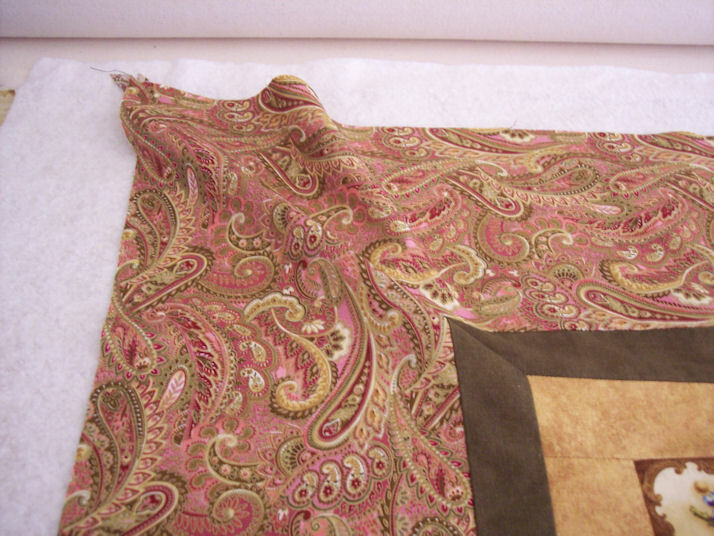 The other two on opposite corners of the quilt had excessive fabric and did not lay at the correct 45 degree angle. Lisa Burmann my long-armer had to fix those two corners before she could quilt my quilt. I am unsure why this occurred but this is my best guess. If you know why this might occurred please leave me a comment. 1./ I might have turned my fabric incorrectly when setting up my mitered corners. I thought I had done all the corners identically but maybe I should have turned them in the opposite directions. I do not know how I can explain this concept better. 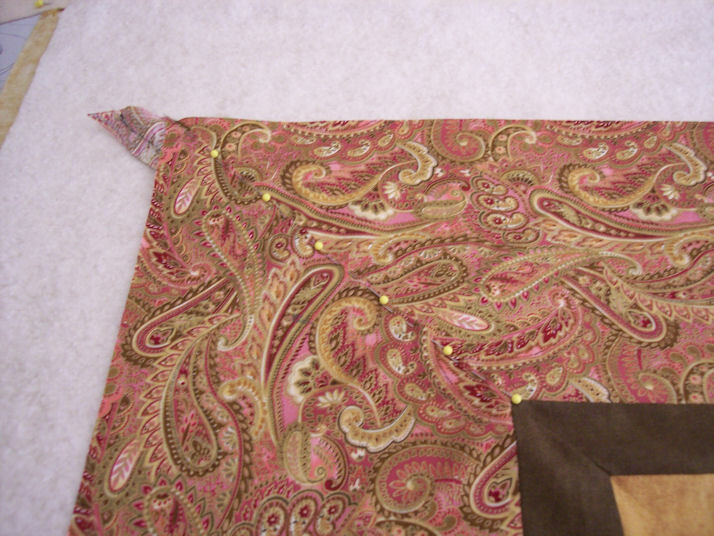 I know two of the corners I shifted the fabric to my left in order to line up the angles and the other two I laid the fabric to my right in order to get the angle. I do not know which corners were laid out to the right and which set were laid out to the left. 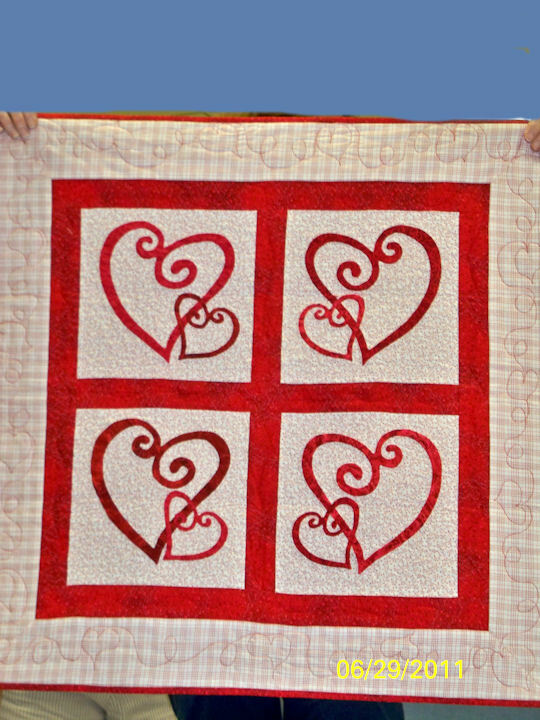 I do know they were on opposite corners of the quilt. This to me is the most logical reason the borders got out of alignment. 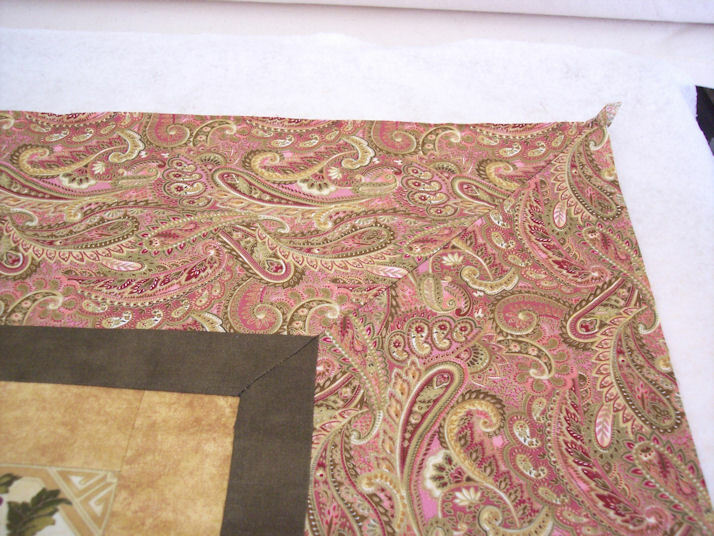 2./ I talked to my friend Kay who is an excellent quilter and she suggested gluing the corners into place and then sewing. (She has done this before.) The gluing of the miter prevents it from shifting out of the 45 degree alignment. This is something I am thinking about for the future. 3./ I had laid my quilt on my largest bed. We were thinking the give of the mattress might have given the illusion of the miters being correct, when in actuality it was incorrect. Laying the quilt on a floor or hard table might have been a better choice. If you have other ideas or know of reasons a miter gets out of alignment please let me know. 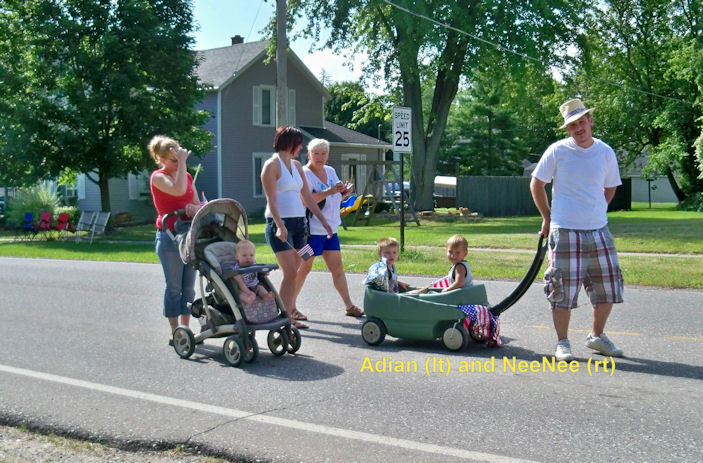 Fourth of July Pictures… Life in a small town. Nonnie through the eyes of a three year old. 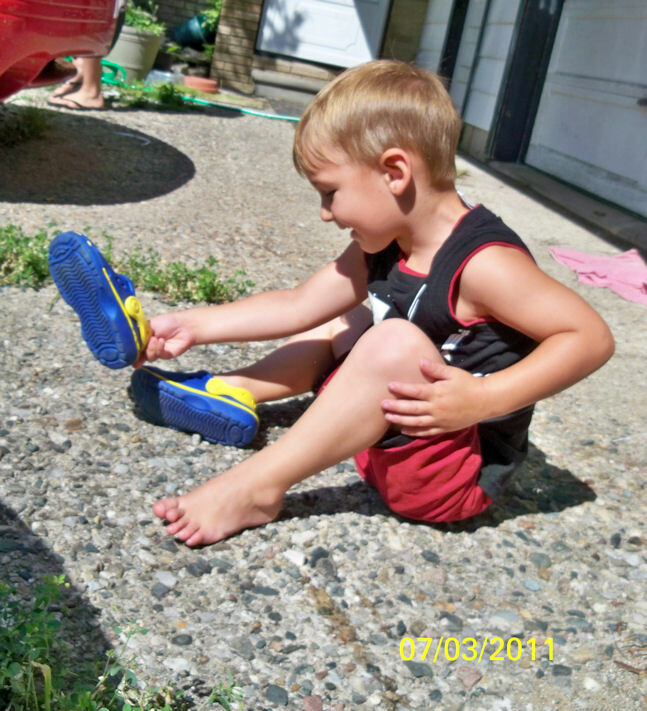 Learning the important things in life---putting on your own shoes. Red Applique added the ZING! Suzanne is a snow bird member of our guild. She lives in Clear-Water Florida during the winter. 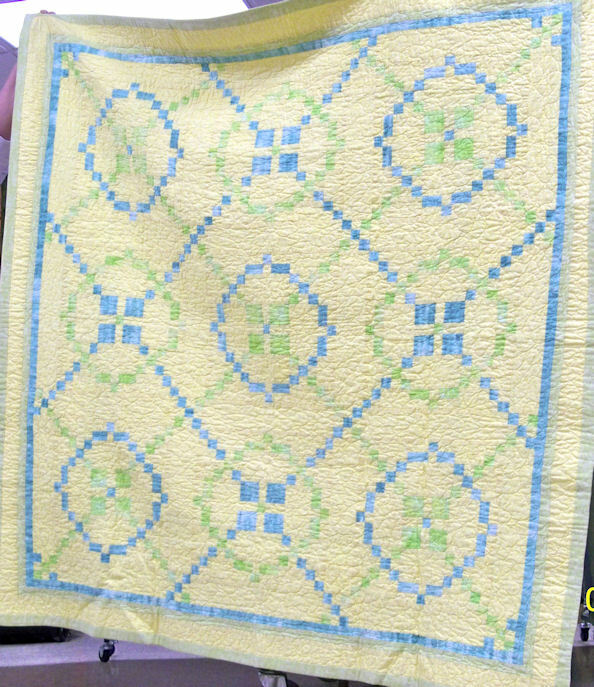 At the trunk show she showed us her cumulative collection of quilts she has quilted over her life time. …. At least the ones she could get back from friends and relatives for the trunk show. Suzanne said her choice of fabrics mostly had to do with the colors in the room where the quilt was going to live in or the colors the giftee liked best. 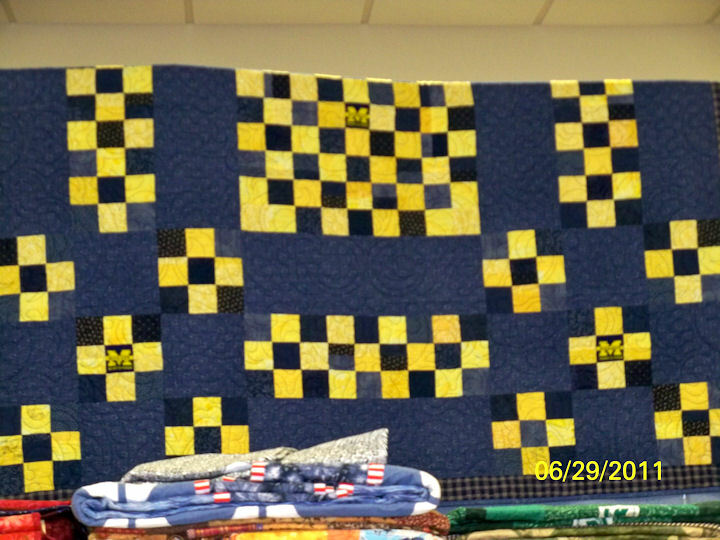 Suzanne sews with several groups both here in Michigan and down in Florida. She takes a lot of classes and especially likes mystery workshops. She loves learning new techniques. Charity Quilting Update: Just working on my MILE A MINUTE QUILT, trying to find the best way to stagger my rows. I also was given some pretty fabric to make backing. 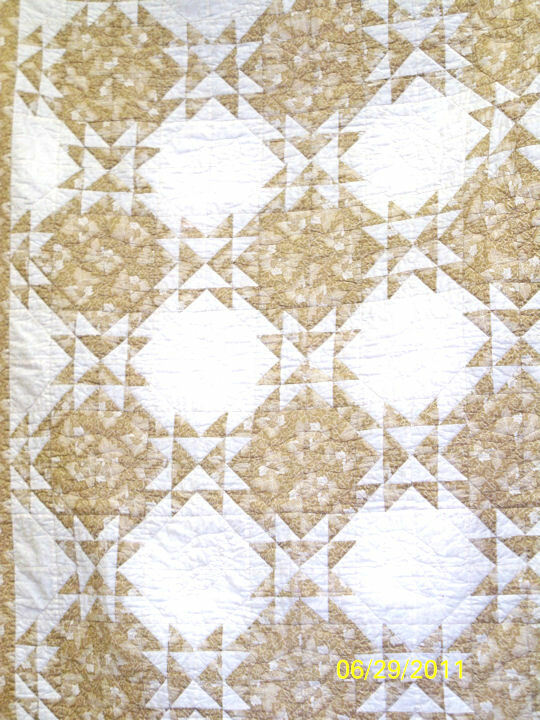 This particular quilt will be reversible. Still waiting to finalize the details for the sewing weekend with the Fire Chief. Arranging this sewing session is turning out to be more difficult then I thought. Podcast is being worked on. I am trying to improve my MP3 files by learning how to edit and improve the sound of my podcast. This takes time but I try to work on it a little each day. I did have problem recently because I downloaded UNIBLUE: SPEED UP YOUR COMPUTER. The program removes what it calls UNNECESSARY FILES. Of course I discovered recently that it was deleting my podcast files. BUMMER, BUMMER, BUMMER…. LET ME SAY IT AGAIN… BUMMER. So I am starting all over again… Uninstalled several programs and reinstalled my Audacity program. Oh well, I will hopefully be posting soon. 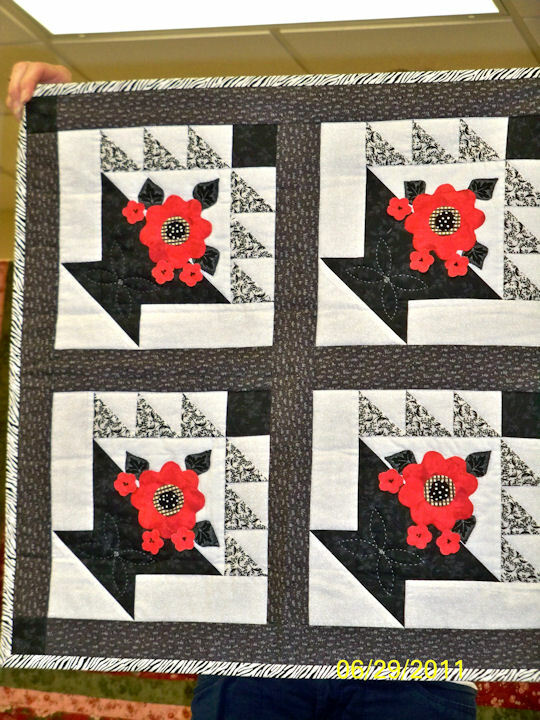 Just want you to know your blocks are already in quilt tops. 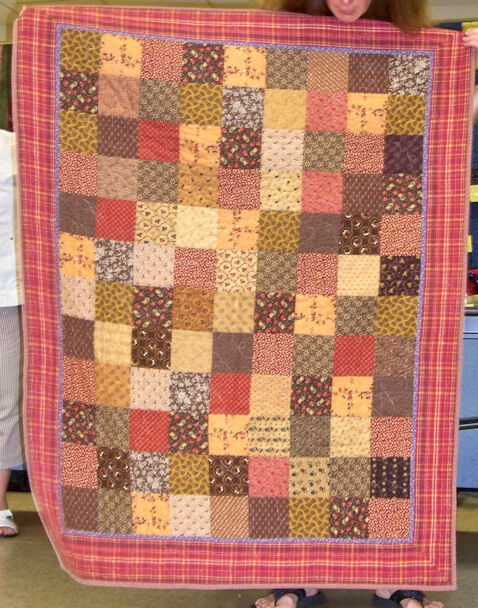 Your fabric collections blended into quilts we were working on when your blocks arrived. 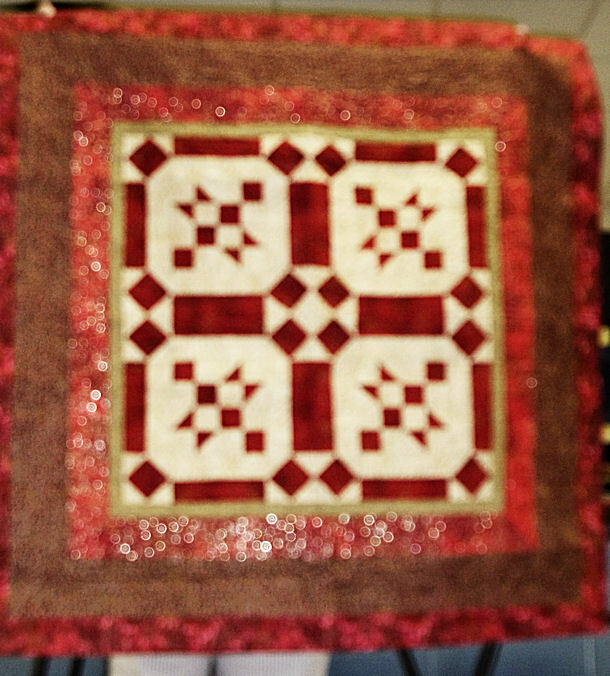 I plan to take pictures of the finished quilts when they are finished. My you were generous and busy… Love the sport balls patches, so does my grandson. He looks them over and tells me what ball is used in which sport. He loves all sport but he likes EDUCATING ME in sports even more. I thought I liked the beach fabrics, myself… they made me smile. Your Red , White and Blue block went into the boy’s quilt I was working on. 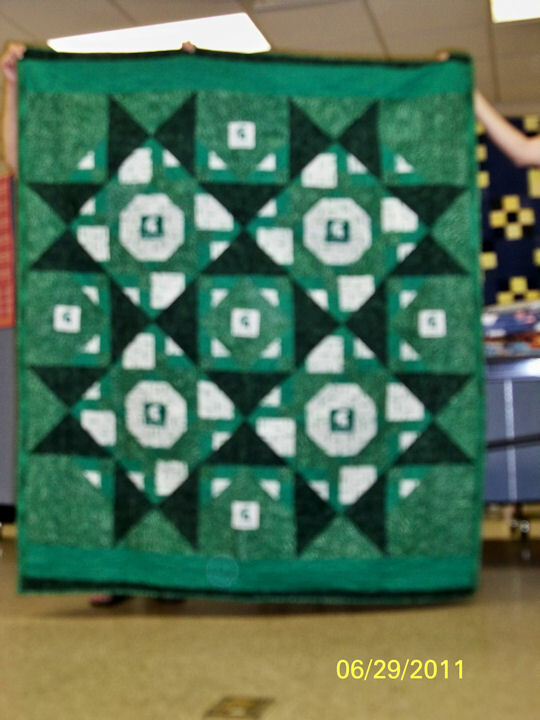 The rest of the blocks are being matched up and put into several other quilts, which will be worked on during our CHARITY SEWING WEEKEND toward the end of July. Love the I-Spy section. 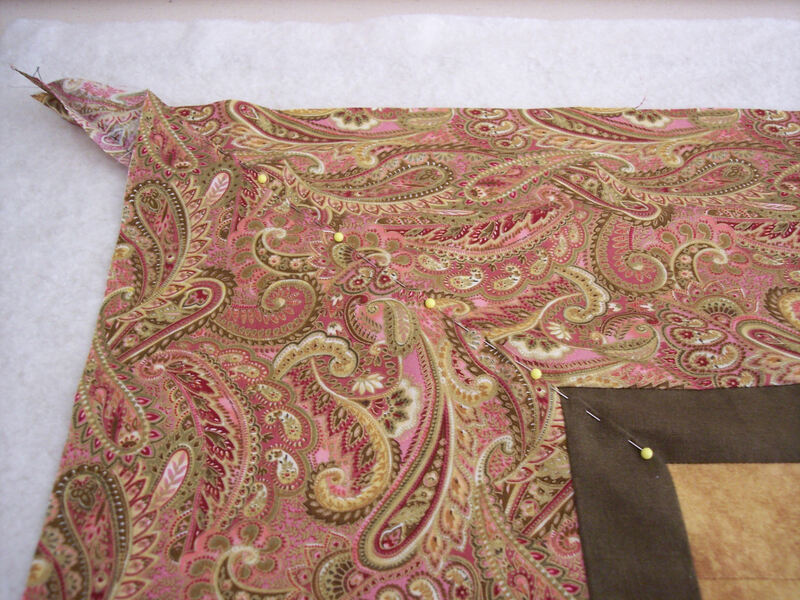 I am going to match it up with some more fabrics and use it to make a larger center medallions. It will probably have some of the other blocks from the internet donations. WOW, these fabrics are really bright… I love them. The monkey print is really cute. It will probably end up in the I spy quilt I am planning. Lovely fabrics, I recognized the Eric Caryl fabrics from the magazines. I had not seen the children fabrics in any of the stores near my home, they are very cute. 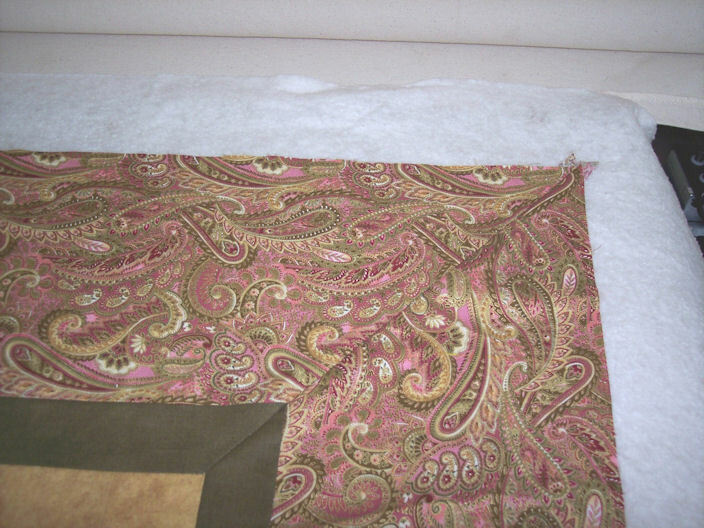 I love all the other novelty prints you sent they will look great in the I spy quilt or the girly quilt we are making. I will know more when I put the blocks on the design wall. Pam sent me a bunch of 6-1/2 inch squares to make up blocks with. She was in the middle of her own time sensitive project but wanted to participate. The fabrics are diverse, just like Pam. If you ever get a chance take a listen to her podcast.